1 bedroom plus den. Plenty of space for guests. Features expansive bay views. 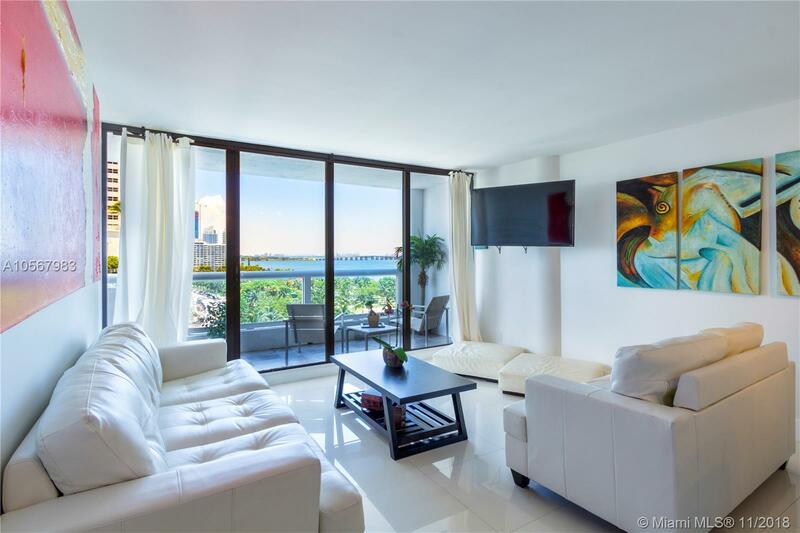 Centrally located minutes to Miami Beach, Brickell, Midtown, Design District, walking distance to AA Arena, Perez Museum of Art, Frost Museum of Science. 15 min drive to airport. Easy access to I-95. Boat dock available for rent at adjacent marina. Nightly rentals permitted allow for lucrative rental income. Perfect for investor or part-time resident. Courtesy of Usa Commercial, Inc.